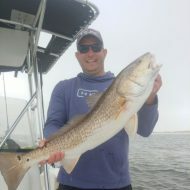 I wanted to start my blog with a recent fishing expedition I had while vacationing with my family in Pensacola Florida. We had a great time on our vacation there, the people, places and activities were simply put, awesome! When we arrived we were greeted by a very friendly staff at the local hotel. We then got our things put away and went to find somewhere to eat. After asking five or six people we decided on Peg Leg Pete’s. Guys let me explain, this place was nothing short of spectacular. The great staff, the atmosphere, and the food were far above par! We all got us a good bite to eat after deciding to get oysters and grouper and were excited for our fishing expedition the next day. After long hours of research we decided our best option was a Pensacola Fishing Charter outfit called Strickly Fishing Charters. We arrived at 630 in the morning and were greeted by Captain Zack Strickland with positive attitude and an eagerness to get us out there! 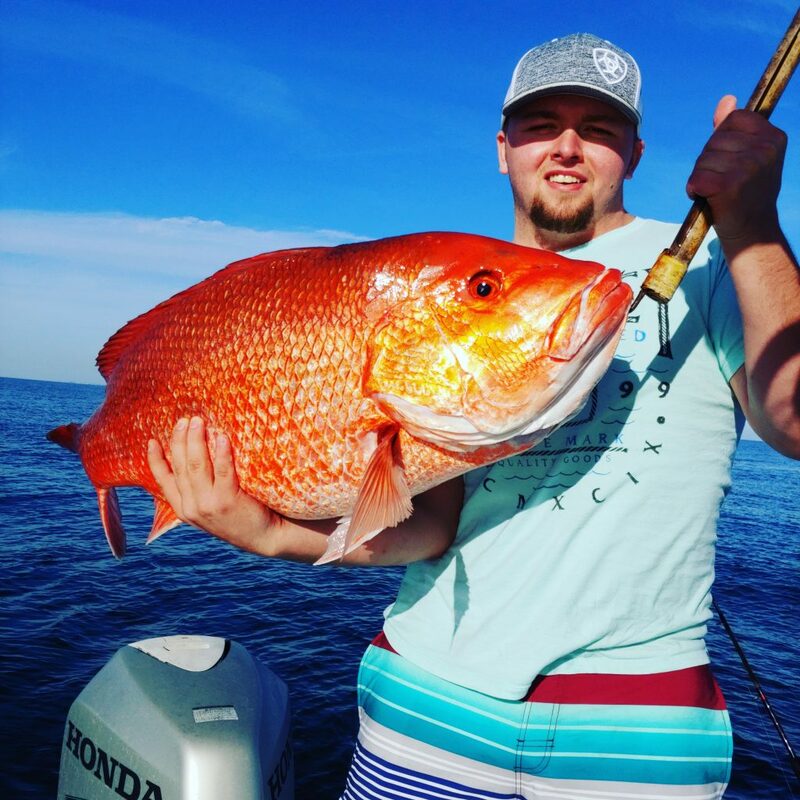 We choose to do a deep sea fishing charter for 6 hours and we were really glad we chose this type of trip. We started off fishing for king mackerel and let me tell you these fish fight! We caught three of these fish on live bait on light tackle and it was a blast. One must have jumped 10 foot out of the water! We then moved on to some bottom fishing. We pulled up to the spot and after a quick glimpse on the fish finder Zack knew this wold be a good spot. We deployed a GPS anchoring trolling motor and he started baiting our hooks. We were using live cigar minnows and cut bait. After what seemed like just a second the bite was on! We caught a couple really nice red snapper in the ten to twelve pound range and the rest of our limit fairly quick. We then moved on to catching some vermilion snapper. Although these fish are smaller, the light tackle and the fight these fish had were a blast! We caught quite a few of these guys and before you knew it our trip was over…. We headed back in where the Captain cleaned our catch and bagged them up for us. It was a great time and was really the staple of our vacation in Pensacola. We then went back to Peg Leg Pete’s where they cooked our catch form our day of fishing. I can’t recommend Strickly Fishing Charters –https://www.stricklyfishingcharters.com/ enough! It really was a great trip and can’t wait to come back! I hope you enjoyed this reading as much as I enjoyed writing it.